How many hours do I need my wedding photographer for? How much time will my wedding photographer need? A wedding timeline. The best way to capture your wedding day is with an all day photography package – between 8-12 hours of coverage. This level of coverage will take you from 10-11am-12pm to 8-9-10pm and will enable you to capture those ‘getting ready photos’ when you’re full of excitment and nerves, right through to the cake cutting and the magical moment of your first dance. It will take about an hour to photograph the bride getting ready plus all the little details of everyone’s outfits, hair and makeup, and those gorgeous group shots of the bride and her bridesmaids, not to mention emotional mum and dad. You can add another 30-45 minutes if you want your photographer to capture the groom getting ready + travel time between the 2 locations. If you’d like it, a first look where the bride and groom see each other before the ceremony can take another 30-45 minutes – again factor in time for travel. Then you need to leave time for the photographer to get to the ceremony location at least 15 minutes before the bride arrives, so she can be captured getting out of the car and taking a deep breath before she walks down the aisle. 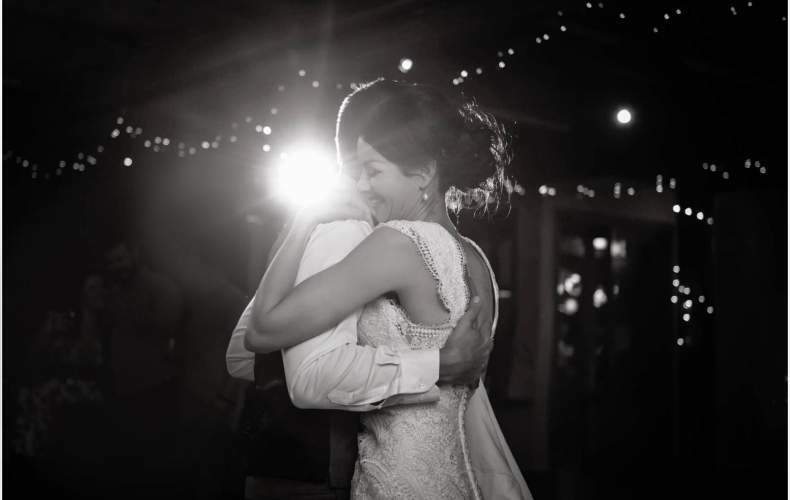 A second photographer comes in very handy for these moments, so one camera is on the groom and one is on the bride as they take their first look at each other and towards their future. After the ceremony, there will need to be some time for you to be congratulated by all your guests before sneaking off for family photos. Bridal photos follow, and you can expect 30-45 minutes at each location + travel time between them. To capture the details of your reception venue before the guests are welcomed in and they put their coats down, hand bags, and have wet drink rings on your table clothes… the photographer will need to be at the venue at least a half hour before guests – so take that into account when thinking about the time between your ceremony and reception. This break from photography also gives you the time to take a breather with your new husband or wife, and kick back with the bridal party…..and apply some more lipgloss! Assuming all speeches and cake cutting is completed within the first few hours, your photographer will be around to capture the truly brilliant moment of the reception, your first dance as husband and wife! Get your guests onto the dancefloor so you can get photographs of the festivities before the photographer finishes up, while you party on into all hours of the morning. Reception – Take into account your meal, speeches, cake cutting and first dance timeline. Hopefully this helps you to decipher how much time you want in your wedding photography package, so you can truly capture each wonderful moment of your wedding day.